Okehampton Battle of the Bands 2016 starts on the 22nd June at 7pm. 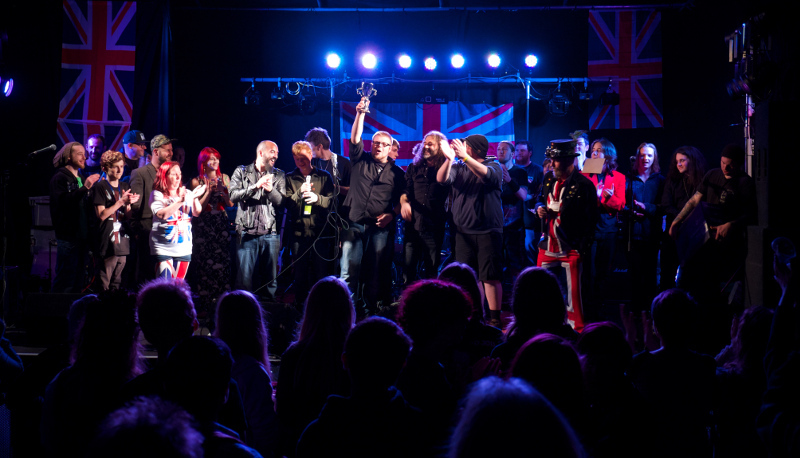 Wednesday the 22nd June marks the start of the 2016 Okehampton Battle of the Bands. 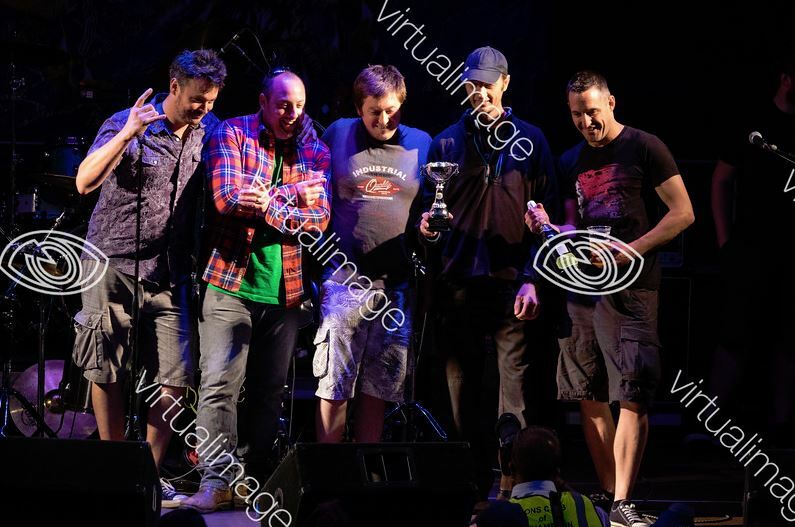 We have a great line up for you this year with 18 of the regions finest bands hitting our stage for a chance to win some great prizes, along with a shot at playing at the Party in the Park final on the 6th August. 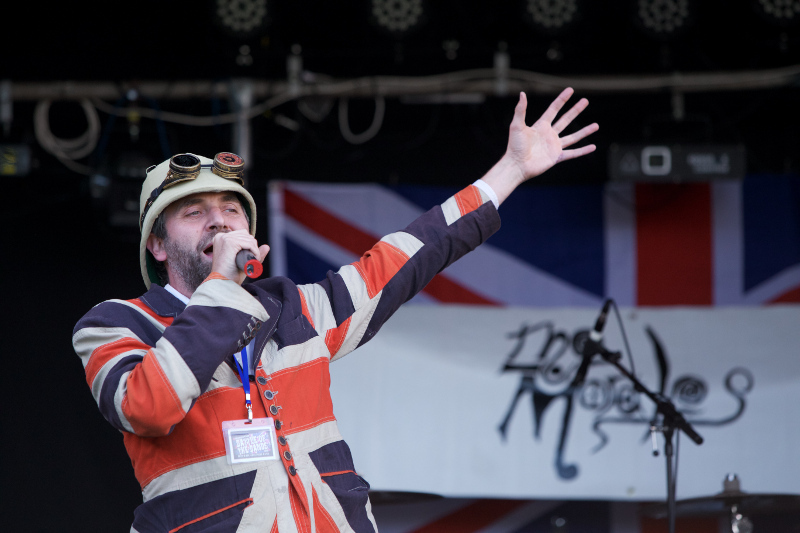 This year Party in the Park is even bigger and louder, we have two stages and two headline acts: Hi-On Maiden (The Official Iron Maiden Tribute Band) and MotorKill (UK Tribute Band to Motorhead). 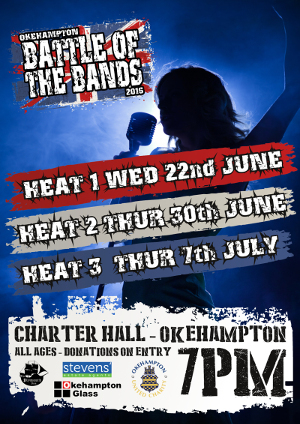 As usual the heats take place in the Charter Hall, Okehampton. We will have a licensed bar, all ages are welcome and no tickets are needed, we just ask for a small (or large!) donation on the door. Here's a taste of what happend last year. Download a PDF Poster for printing.